The more reliable multipath tcp exploit is only available to users registered as Apple developers. It can only be installed if signed with a valid Apple ID registered in the $99/year Apple Developers program. (No throwaway Apple ID’s this time). As an added bonus, this jailbreak will last longer than the 7-day period available to non-developers. However, as all recent jailbreaks, it remains a semi-tethered jailbreak, meaning you’ll have to re-run the jailbreak tool on the device (without connecting to the computer) after each reboot. Users without an Apple developer account are served by the less reliable version of the tool exploiting the vfs vulnerability. Reportedly, this version of the tool leads to a lower success rate compared to the developers edition using the mptcp exploit. However, it does allow using throwaway Apple ID’s just for jailbreaking. Since iOS 10, all jailbreaks shared a common installation procedure with Cydia Impactor. The procefure is slightly different this time, as a few things must be taken care of before jailbreaking. Remove downloaded iOS 11.4 update. This step is required to successfully run the jailbreak. 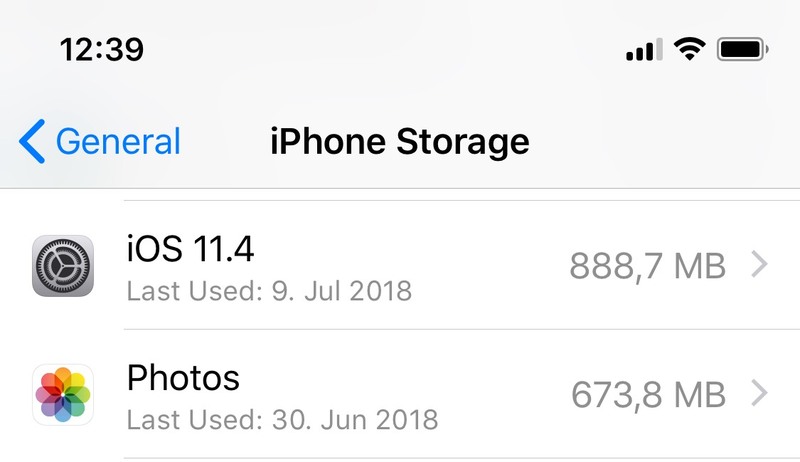 You can remove the update by opening the Settings app, tapping General > iPhone Storage > iOS 11.4, and clicking Delete Update. Prevent iOS 11.4 update from being downloaded. This requires explanation. The Electra jailbreak is semi-tethered, and requires re-application every time the iPhone is rebooted. 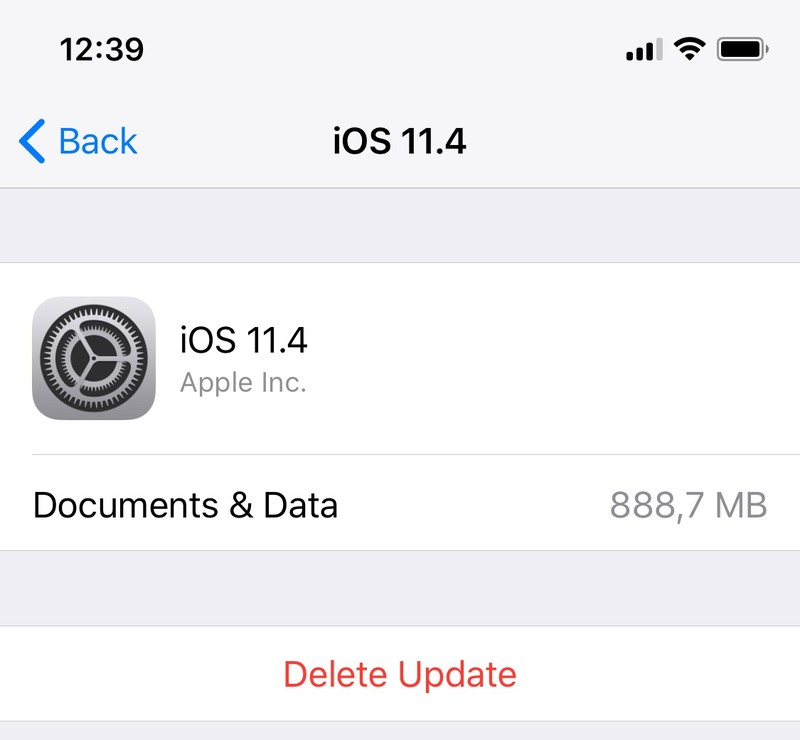 The jailbreak may fail if iOS 11.4 update is downloaded, and there is no obvious way to prevent iOS from downloading the update in background even if you delete it from the iPhone. To work around this problem, jailbreak developers recommend installing a TvOS profile onto the iPhone, which prevents iOS from automatically downloading system updates. If you are doing a one-time job and don’t plan re-applying the jailbreak after a reboot, this step is not necessary. Enable Airplane mode, disable Siri and reboot. Before you run the Electra jailbreak (but after you’ve signed and sideloaded the jailbreak app and trusted the developer signature), you may want to enable Airplane mode and disable Siri. You can disable Siri at Settings > Siri and Search; switch off both of the following toggles: Listen for “Hey Siri” and Press Home button for Siri (or Press Side Button for Siri on newer iPhones. Reboot the device afterwards. Make sure Airplane mode is still enabled after the device boots. Troubleshooting: removing Find My iPhone and Passcode (and rebooting). Some users reported they’ve been able to successfully jailbreak their iPhone after disabling Find my iPhone and removing the passcode, then reboot the device. While disabling Find My iPhone is relatively safe (except that you’ll have to allow the device connect to the Internet, with obvious consequences), removing the passcode will not allow you to extract some of the most sensitive information from the device after you jailbreak. Do weigh your options here. If you need to Reset All Settings, do it BEFORE jailbreaking. Since the initial release, iOS 11 has allowed users to reset their iTunes backup password by performing the Reset All Settings routine. This very technique comes extremely handy to investigators performing logical acquisition. As with most jailbreaks, you must not use Reset All Settings after you jailbreak, or else. On Electra, this command will result in the DPKG_LOCKED error; in other words, you will lose the jailbreak and won’t be able to reinstall it without resorting to XCode. If you need to reset the backup password, think ahead and do it before the jailbreak. You will need to trust the certificate in order to be able to launch the jailbreak. To do that, on the iOS device, open Settings > General > Device Management. You will see a developer profile under the “Apple ID” heading. On the iOS device, find the jailbreak app and run it. Follow the on-screen instructions. Electra includes Cydia app repository; however, you should not need Cydia or OpenSSH as Electra already bundles an SSH daemon listening at port 22. Note: the non-developer jailbreak will expire after 7 days; you’ll have to perform the entire procedure from Step 1. The jailbreak will expire on each reboot; however, if you’re still within the 7-day period, you can simply launch the jailbreak app again (on the device) without using the computer. Now the first difference between a regular and developer account: you’ll have to choose the profile you want to sign the jailbreak IPA with. 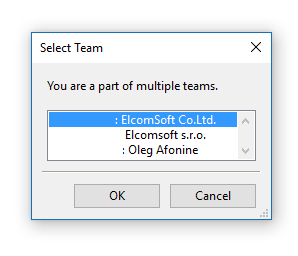 Select a developer account. (You will see this dialog every time if you’re using an account that participates in the developer program). Installing a jailbreak is a required pre-requisite for physical extraction. The process of physical extraction is described in Breaking into iOS 11. An alternative to physical extraction is logical acquisition, which can be performed even on a locked device if a lockdown file (iTunes pairing record) is available. However, using existing pairing records becomes more complicated as iOS 11.3 limits the lifespan of lockdown records. Which versions of iOS do and which don’t have a working jailbreak? At this point, all versions of iOS 10 can be jailbroken on all 32-bit and 64-bit devices. Speaking of iOS 11, we have jailabreaks for iOS 11.0 through 11.1.2, iOS 11.2 through 11.3.1, and iOS 11.4 beta 1 through beta 3. There is no jailbreak for iOS 11.4 or iOS 11.4.1. This entry was posted on Tuesday, July 10th, 2018 at 2:12 pm	and is filed under General, Security, Software. You can follow any responses to this entry through the RSS 2.0 feed. Both comments and pings are currently closed.